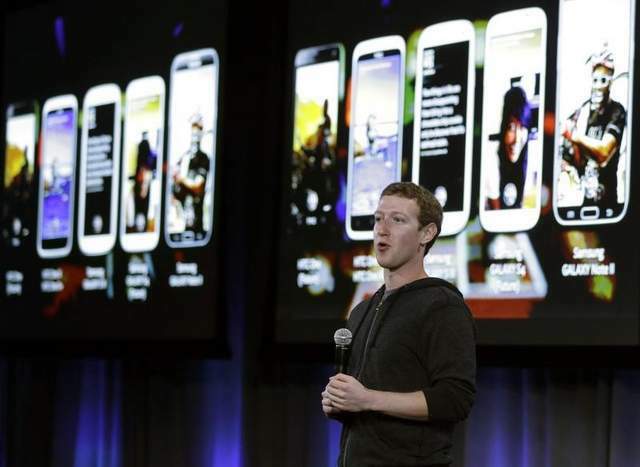 Last week, Facebook unveiled its next product, targeted at Android smartphones, Facebook Home is a new launcher, replacing much of Google’s OS and offering new features that tie it in with the social network. There’s been rumors about a Facebook phone for a while now, but instead of trying to launch their own phone to compete with Android, iPhone, Windows Phone, and Blackberry 10, they’ve created a richer experience for Android than just an app. By having a launcher, everything you do is tied in with Facebook. Most Android phones have their own launcher, which you may not be familiar with. Samsung has a launcher called TouchWhiz and HTC uses Sense, which is why both phones look so different, even though they both run Android. “We’re not building a phone. We’re not building an operating system, but we’re building something that’s a whole lot deeper than just an ordinary app,” Zuckerberg said. While the goal seems to be as many Android devices as possible, the initial roll out will include the Galaxy S3, Galaxy S4, HTC One, One X+ and the Galaxy Note 2. Having Ice Cream Sandwich or higher is a must, as is the latest version of the Facebook and Messenger apps plus the Facebook Home app. HTC is also launching the HTC First, which will be the first device to feature Facebook Home. Cover Feed takes over a phone’s lock and home screens with a steady stream of Facebook updates coming from your friends. 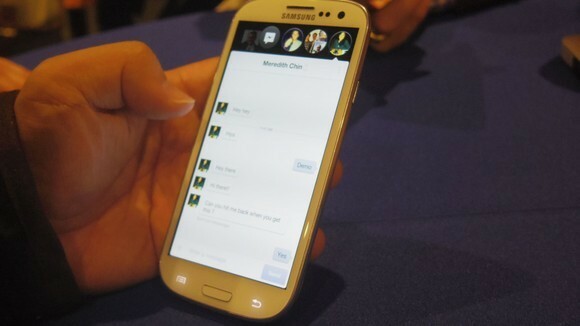 Chat Heads is a way to keep your FB buddies with you no matter what you’re doing on your device. The Cover Feed stream isn’t dissimilar to a slideshow screensaver you’d have running on your laptop or desktop, though Feed includes status updates, photo captions and icons to like and comment. You can, of course, pull up comments of those who’ve already left a post. A double click will let you like a post as well, while you can swipe to flip to another image. When you get a notification, a white bar with text and the profile picture of the poster comes onto the screen. This could be a like on a photo you posted, a news alert or a missed call. As you can imagine, the more notifications you get, the more things get cluttered. 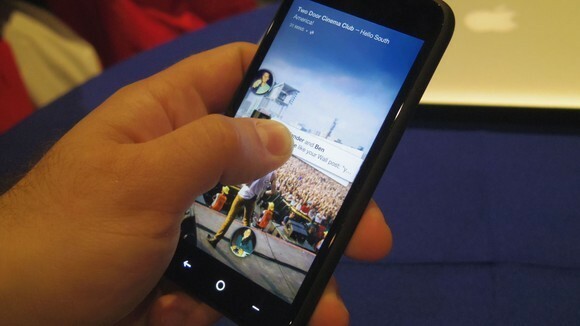 Facebook’s come up with a touch and swipe function that let’s you get rid of all your notifications at once. Simply press on one notification and all will pinch together. In the image above, you see a shortcut app launcher that you can access using the top bar across your screen. It gives you shortcuts to Facebook features, along with status updates, check-ins, and photo uploads. Chat Heads is basically a messenger that works for both Facebook Messenger and SMS. Essentially, when one of your friends texts or messages you, their bubble-headed image plops onto the screen with that familiar red number at the top. Click on your friend’s face, and a drop-down message screen opens, letting you read and respond to the message. You can have a number of heads floating at once, all of which will clump together and can be moved around the screen to wherever you deem convenient. Facebook Home will be available on the phone mentioned earlier on April 12th, so we’re anxious to hear your feedback once it gets to the general public. Many people can become addicted to Facebook and this lets you become even more attached to your phone than ever before. Also, during the announcement, a question was asked about bringing Facebook Home to iPhone or other platforms, and it was basically shrugged off, so it is clear that their focus is the Android market. Read the official announcement in the Facebook Newsroom. To get a hostgators coupon will be blessing in disguise since about thirty percent of these services will have been gotten freely. products and services. On the other hand, Host – Gator will receive a long-term client.